Since 1925, Hickleys have have been offering solutions to the automotive motor trade throughout the UK. Our Auto service centre still specialises in electrics and diagnostics, as well as traditional mechanical repairs. Growing out of a need for a greater diagnostic ability in our own workshops, our diagnostic division was born in the early eighties. Now the largest part of our company, the diagnostic division represents products from all over the world. 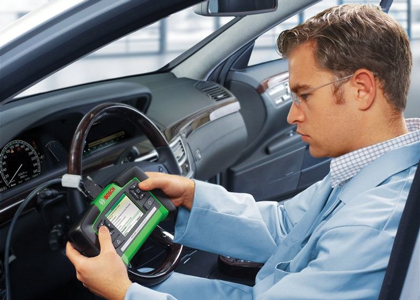 Our diagnostic business is built on added benefit where our product specialists and technical sales specialists offer product, technical and software support. 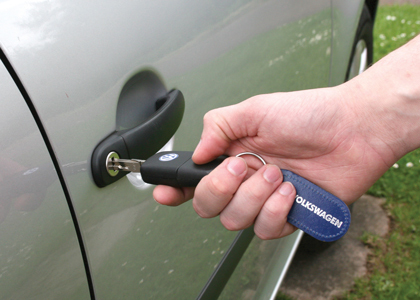 With the introduction of immobilisers in vehicles our specialism in Auto Locksmithing began and we are now the leading supplier of auto locksmith products in the UK, representing all the leading equipment. Again we offer in-depth technical and product support along with the full range of of support products. As a part of the added support we offer to the products we represent, customer training has become an essential part of our portfolio, and this led to the opening of the Hickleys Training Academy. The Hickleys Training Academy is the leading centre in the UK for Auto Locksmith training covering everything from one day product or vehicle specific courses to courses run over multiple days allowing students to learn and qualify for a new trade. Further expansion has now enabled us to offer a range of traditional locksmith training including lock picking, safe opening and other specialist courses. The quality and relevance of the training delivered by the Hickleys Training Academy is assured, because we are one of only a few accredited centres approved by the NCFE to deliver training with accredited courses to level 2, 3 or level 4. Achieving NCFE approval ensures our quality of customer service and training standards are maintained through constant review, self assessment, student feedback and market development. With these disciplines in place you can be sure of receiving the very best, consistent and relevant training available. Hickleys Training Academy is an ELCAS approved training centre and an Enhanced Learning Credits Provider and caters for Armed forces personnel wanting to gain a higher level of learning or considering resettlement. If you're a member of the Armed Forces, you can access funding from the MOD's Enhanced Learning Credits Scheme (ELC). This scheme is designed to promote Lifelong Learning within the Armed Forces for the pursuit of higher level learning and for courses that result in a nationally recognised qualification at Level three or above on the National Qualifications Framework (NQF) (England and Wales), a Level six or above on the Scottish Credit and Qualifications Framework (SCQF). As a Preferred Supplier to the MOD we offer tailored courses to suit every individual's requirements and using our extensive knowledge of the resettlement process ensure that the service leaver gets the maximum possible training benefit from their course with us.